Are you a frequent flyer? Are you phobic about cramped spaces? Are you one who kind of spreads like poured honey into a bucket seat? Or are you one who has to watch out for short doorways lest you lose 3 inches of your head? Yes? Then you should know this. 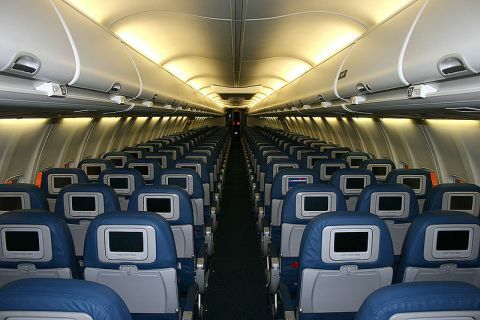 Every airplane has 3 worst seats. They vary with configuration, with models and designs of planes. Which row and which seat number, varies. There was a time when airline hostesses were intellgent and well trained and knew which seats they are. Not anymore perhaps. But still the seats always exist. And who gets them? Who curses that trip for a few weeks afterwards, as it almost ruined your business meeting or soured that birthday party you were so looking forward to, all because you cricked your neck or hurt your knee or spilt airline coffee on to your starched shirtfront? Or worse got your crotch all wet and soaked up? Well, you can then join me in finding out why the hell YOU had to get THAT seat. As I told you already, there are three such seats. And if on average there are a hundred passenegers, your chance of getting that is only one in thirty. But then, how come you had to adorn that lousy seat, the one that doesn’t recline and has just enough leg room for a miniature man? Perhaps you know by now that everything in the airline industry is governed by master computers manned by hugely qualified nerds who do nothing but work out polymorph math for fun on weekends. These computers decide everything. Yes, everything including how many tissues are in the toilet and how many milligrams of sugar are in your satchet. The airlines are so competitive these days that they need to not only fly you, dirt cheap, safely, on time, but have to manage the amount of fuel they burn, the amount of sound they generate, the amount of rubber they burn on the tarmac, the amount of effluents they eject in airspace and so on and so forth. So, everything, including who gets the lousy seat, is governed by advanced mathematical modelling. I just discovered the secret formula. As a backgrounder, you should know that once upon a time, in the days when IBM had punch card computers and had 99% market share, those 3 lousy seats were randomly allotted. On a last come first served basis. But some minister’s niece had a bad time in one such seat and several heads had to roll because of the hungama she raised. As a consequence advanced MBA schools were consulted and some geek came out with a massive math formula that would proactively and deliberately squeeze those three specially selected passengers into those seats and avoid random acts of unkindness. That way you could rest assured that the cruel one above had deliberately handed you the wretched boarding card as one of those specially chosen three. And the formula is being revealed for the first time here. The geek formula is based on vaastu, numerology, astrology, biology and epistemology. The last one is a bit like phrenology and ornithology in terms of popularity. The formula takes your name, converts it into an esoteric string of numbers. Now it takes your date of birth and adds a square of that in Windows 2000 native date string format, and then pretty much freaks out with your star sign,moon sign, and date and time of flight. Finally the result is divided by the Napier logarithm of the fight number and the remainder is then carefully matrix multiplied with the chi square of your number string. By now we are almost done except we still need to take the ASCII code of the dreaded seat number and subtract it from the resultant string after excluding those instances when the string matches any one of the first 48 prime numbers. If you have a remainder which ends in a 1 or 2 or 3 you had it. I mean youget the dreaded seat. All this is done on first come first served basis, conscious as airlines are of the importance of process engineering and punctuality. So next time you get a dreaded seat, beware. Either you change your name, or date of birth, or flight number, or day of travel in the week, or time of flight. In the best case scenario, stay at home and do a tele-conference. This entry was posted on September 7, 2009 at 9:01 AM	and is filed under airlines cramped seats random acts of unkindness. You can follow any responses to this entry through the RSS 2.0 feed. You can leave a response, or trackback from your own site.